Getting bees to move down into the TBH. 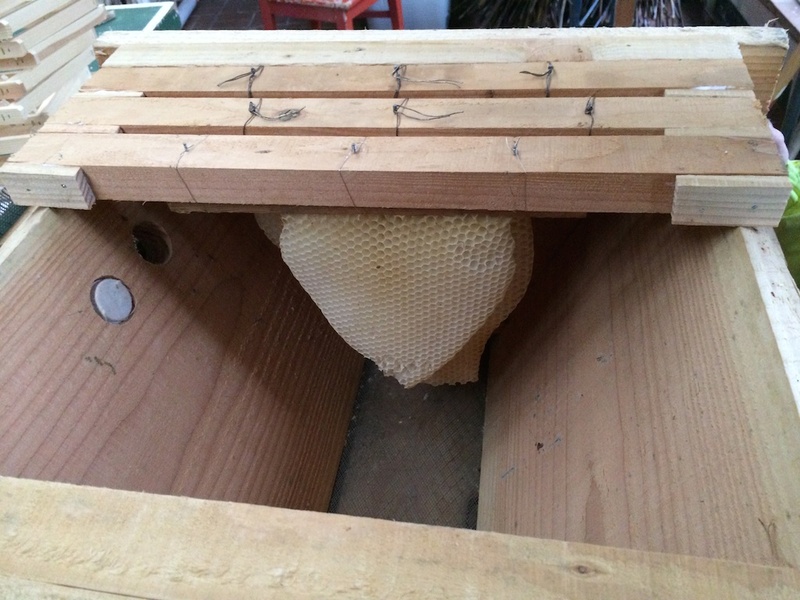 Posted: Thu Apr 17, 2014 11:15 am Post subject: Getting bees to move down into the TBH. I build a HTBH last year. Bought a queen rather late and shook some bees into the hive with her. They liked her, and she began laying. Sadly, they didn't have the time to get enough food in before the winter, so they died. I would like to move one of my other families into the TBH. Preferably without dong a chop and crop. I have a few topbars with come from last year, and have put a spacer between them. A few weeks ago I put the family on top of the HTB so they have to enter and exit through the TBH. This they do readily, but they haven't begun inhabiting the TBH yet. The family is in two deeps (I think that's what it's called) on top of the TBH. One idea I had was to pressure the bees downwards by using a bee emptier between the two deeps. Has anyone tried forcing bees like this? Why don't you put one of the TBH combs into the center of the Langstroth's brood nest. Once the queen lays it up transfer it back to the TBH with adhering bees, the queen and shake in a couple of pounds of bees. Put the TBH in the Langstroths location. The Lang hive on a new stand should be able to make a new queen. Ah. That might be a good idea. I'll take a look once the weather gets better. If they haven't moved down I'll try to do that.